The Sinai Shabbaton this year takes place on the bank holiday weekend in an adventure centre in Kent and boasts an incredible adventure weekend! Along with the great camp ruach for Shabbat full of singing and tochniot, there are also going to be at least 3 on site activities! Make sure not to miss out on this mini camp just after Purim! There are sibling discounts on offer when you send three or more children and every place on the Sinai Shabbaton also entitles you to money off your summer camp application! But the early bird discount of £129.99 ends on February 28th so make sure to book in time! A coach will be leaving from London Gateway Services off Junction 2 of the M1 at around midday on Friday 25th March and we will return at 16.00 on Sunday. Chanichim will need to bring a packed lunch with them on the Friday afternoon. They should bring clothes for Shabbat (smart clothes only), a Chumash (Siddurim are provided), clothes for travelling and adventure clothes. We are very excited to announce that we are organising a weekend residential trip at the Kingswood Centre, Kent. We are very fortunate to have secured a booking as it is an extremely popular venue with groups. For parents who are new to Kingswood, they are a leading residential activity centre provider, responsible for delivering safe and rewarding educational programmes to over 130,000 children every year. By combining many National Curriculum-linked modules with thrilling outdoor and indoor adventure activities, this trip is sure to provide your child with a wealth of new experiences outside of the classroom. 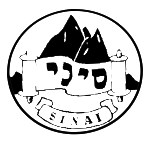 Shabbatonim organised by Sinai Youth are, of course, an optional but invaluable part of the Sinai Youth calnedar. Chanichim benefit hugely from the experience, both educationally and socially and I feel certain that the Adventure Choice programme which we have chosen this year will prove to be both enjoyable and very worthwhile. The trip will take place from Friday March 25th to Sunday March 27th. The cost of the visit will be £129.99 with the early bird discount and includes return travel by coach, accommodation and a full programme of activities. To confirm our booking, please sign up here. In the meantime if you wish to find out more about the ethos of Kingswood, their programmes and safety information, please visit www.kingswood.co.uk.